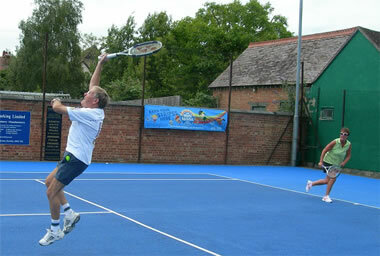 We have seven tennis courts available for members to play on, all of which are floodlit. This includes three courts at our home base in Garth Park, close the heart of Bicester, and four courts by way of our agreement at Bicester Hotel Golf and Spa at Chesterton. We play tennis 365 days a year regardless of the weather.